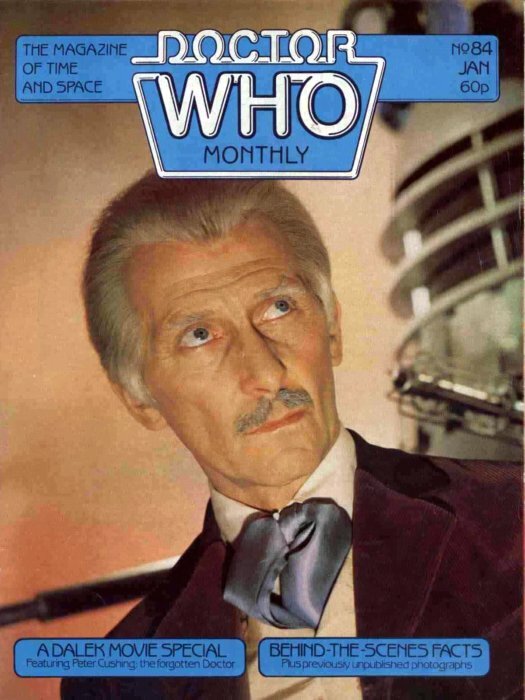 Secret Sanctum of Captain Video: Captain's Library: DOCTOR WHO MONTHLY "Dalek Movies"
Captain's Library: DOCTOR WHO MONTHLY "Dalek Movies"
Peter Cushing IS Doctor Who! 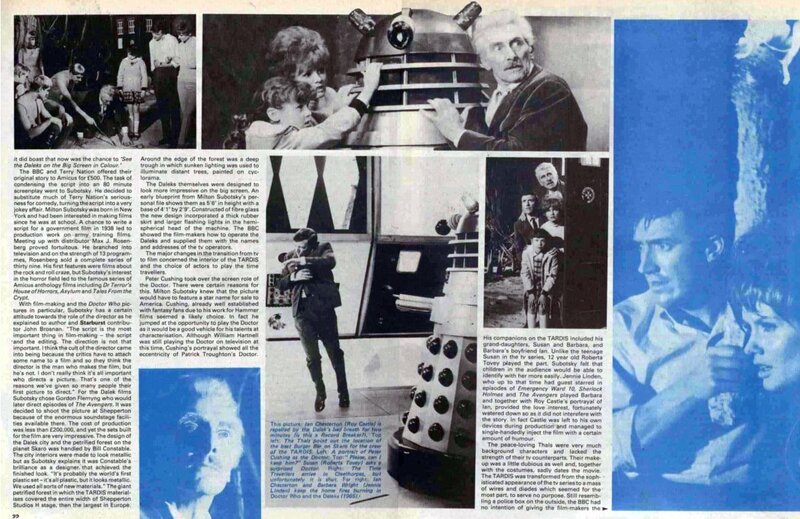 Sadly, most of today's audience doesn't even know he played Doctor Who...twice! 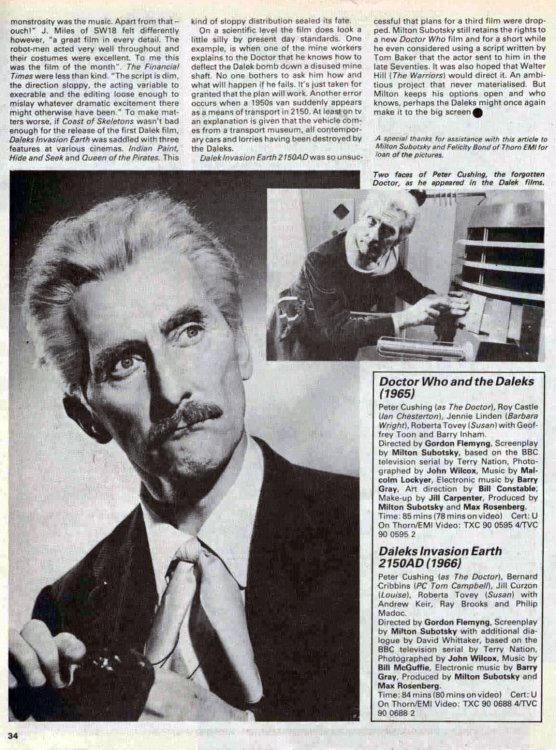 Note: I didn't say "The Doctor", since Cushing's version was not a Time Lord from Gallifrey, but an eccentric human scientist! 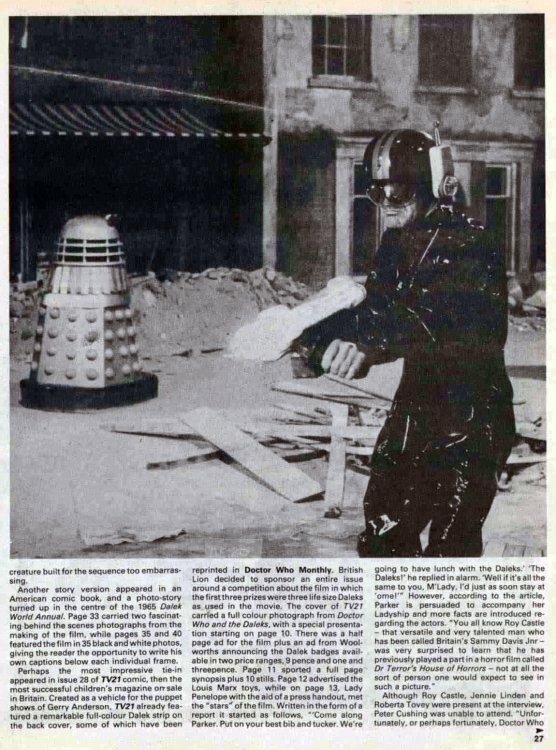 To be fair, the exact concept of who (or what) the character was didn't get defined until the final episode of the first Doctor's run, which was done after the first Cushing film! 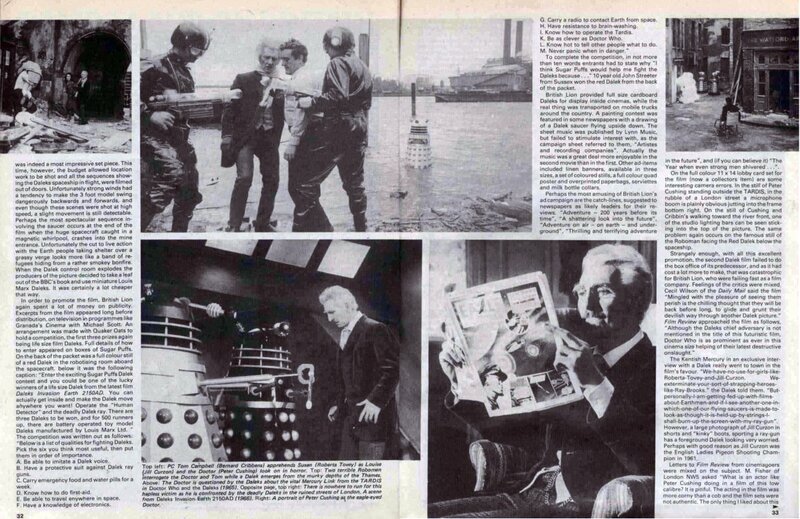 In the Hartnell stories the Doctor is said to be from "another time, another world", but that can be just taken as his being from a future Earth (which certainly would fill both criteria). 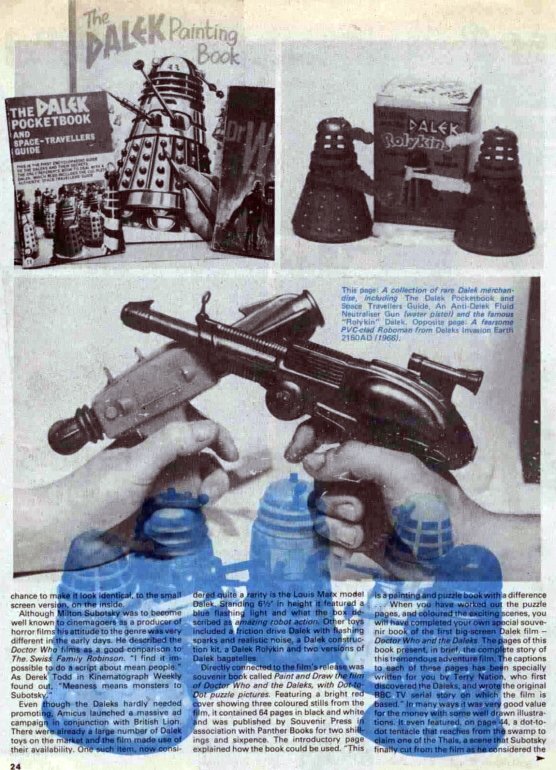 Even when other characters from his home (like the Meddling Monk, who also had a TARDIS) were introduced, no clear definition of where (or when) they were from was presented! 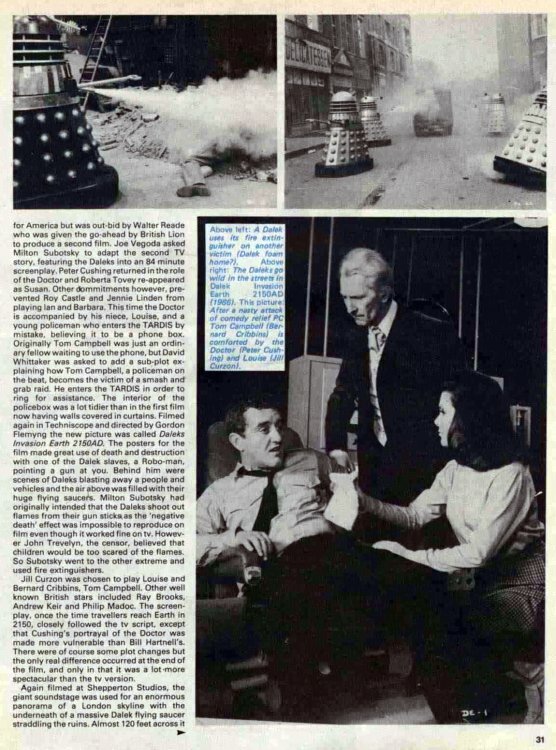 Though Cushing's two films were adaptations of BBC-TV serials ("Dead Planet" and "Dalek Invasion of Earth"), they are not considered part of the official canon of the TV series. 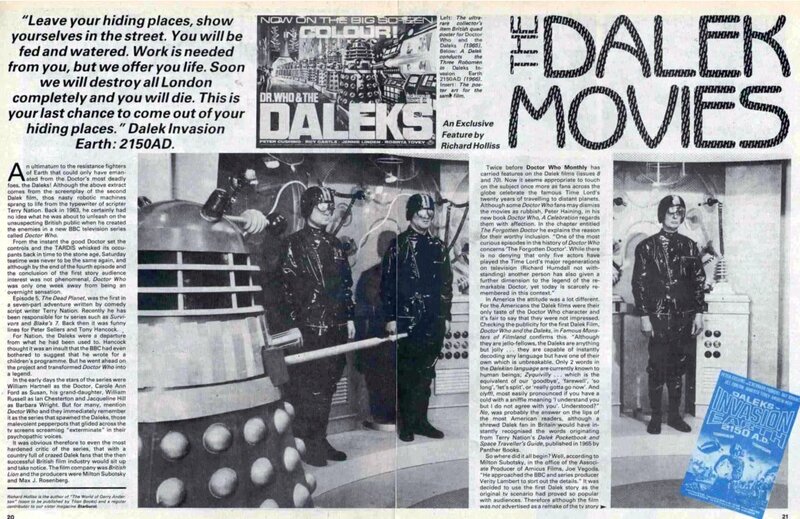 Here's the cover-featured story from Doctor Who Monthly #84 (1984), which was only available in America through Forbidden Planet's New York store! 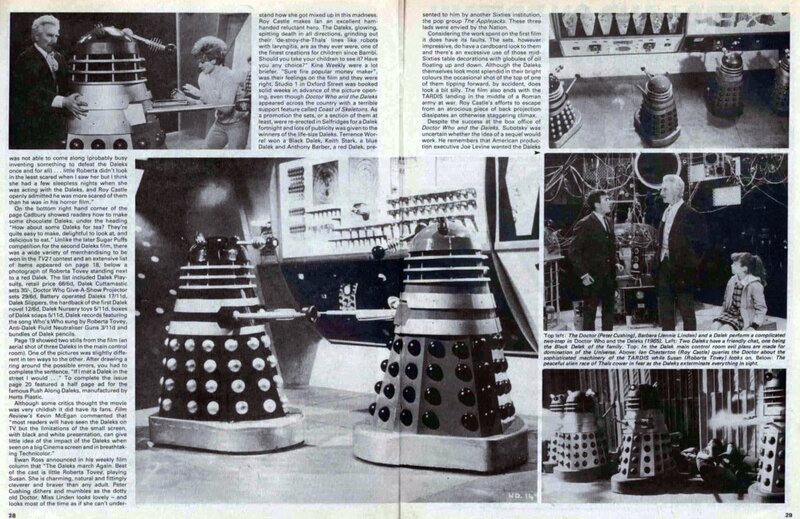 There's more cool Cushing stuff to come! 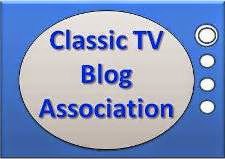 Bookmark us and visit often! 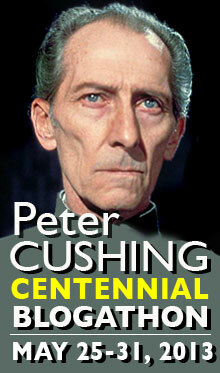 And check out other posts from the Peter Cushing Centennial Blogathon by clicking on the art below! You have cornered a unique niche here - and I enjoy seeing the pieces you post! Thank you!